What happens when you get Real Art drawn by Real Artists? What happens when Real Beer Lover’s drinks Real Beer? 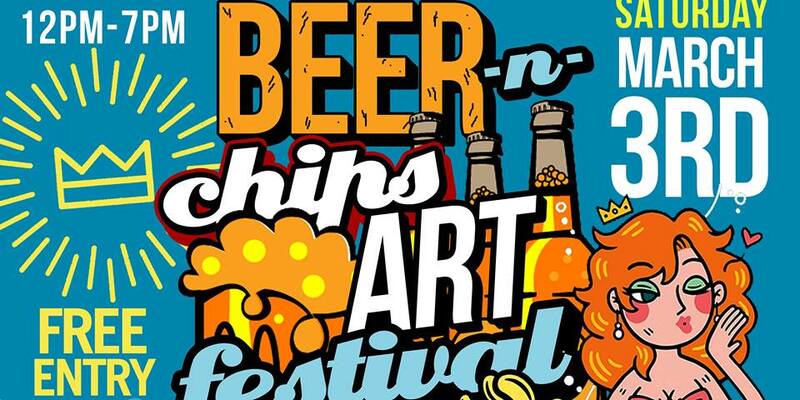 You get Realness, and that is what “Beer & Chips Art Festival” is about. So come and check out Real Artist at your Local Texan Brewery. Beer and Chips Art Festival is not another average art show instead It’s a traveling art show that pops up at the best local breweries bringing the hottest local artists. Not only is there beer, chips, and art but the show is kid-friendly while free to attend.